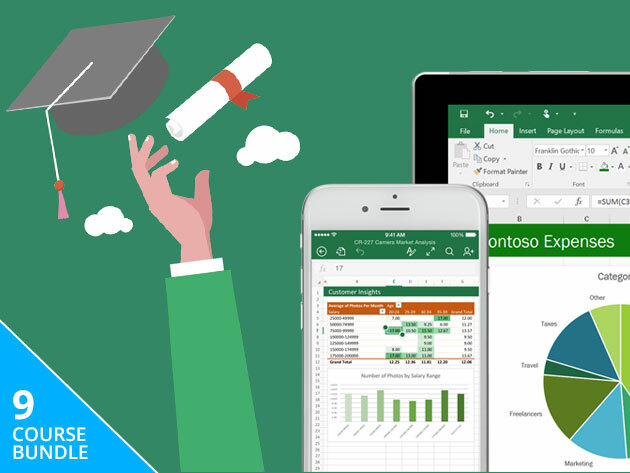 This nine-course bundle makes it easy to learn Excel 2016 no matter your experience level. You’ll get over 28 hours of actionable video instruction, helping you go from beginner to certified Excel whiz in no time. If you’re new to Excel, kick things off by learning the fundaments of the software, including formatting, editing, and entering formulas to streamline your workflow. As you move from course to course, you’ll gain confidence and enjoy learning Excel with hands-on projects, letting you reinforce what you learn with real-world experience. You’ll wrap up your Excel training with a CDP-Certified Credential, giving your boss or potential employer proof of your hard work and well-rounded skill set.